§ 116D-4. Minority and historically underutilized business participation. § 116D-5: Repealed by Session Laws 2011-43, s. 1, effective April 19, 2011.  Article 2 - General Obligation Bonds for Financing Capital Facilities for The University of North Carolina. § 116D-8. Authorization of bonds and notes. § 116D-9. Designation of capital facilities and preconditions to bond issuance. § 116D-10. Faith and credit. § 116D-11. Issuance of bonds and notes. § 116D-12. Variable rate demand bonds and notes. §§ 116D-14 through 116D-20. Reserved for future codification purposes. Article 3 - Special Obligation Bonds for Improvements to the Facilities of The University of North Carolina. § 116D-23. Credit and taxing power of State not pledged; statement on face of bonds. § 116D-24. General powers of Board of Governors. § 116D-25. Consultation with the Joint Legislative Commission on Governmental Operations. § 116D-26. Issuance of special obligation bonds and bond anticipation notes. § 116D-27. Trust agreement; money received deemed trust funds; insurance; remedies. § 116D-28. Fixing and collecting obligated resources. § 116D-29. Vesting powers in committee. § 116D-31. Additional and alternative method. §§ 116D-32 through 116D-40. Reserved for future codification purposes. Article 4 - Community Colleges Facilities General Obligation Finance Act. § 116D-43. Authorization of bonds and notes. § 116D-44. Designation of capital facilities and preconditions to bond issuance. § 116D-45. Faith and credit. § 116D-46. Issuance of bonds and notes. § 116D-47. Variable rate demand bonds and notes. § 116D-49. Procurement of capital facilities. § 116D-56. Debt affordability study required.